The Orcutt House, in Worthington, Ohio, “comprises two interpenetrating circles.” Built in 1958, its design, by architect Theodore van Fossen, reflects Frank Lloyd Wright’s principles of organic architecture. 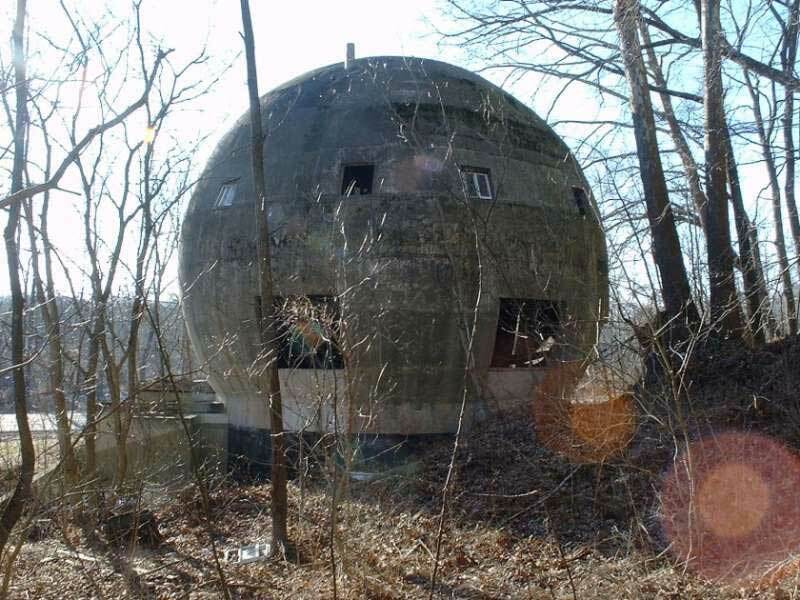 Now on sale for $749,000. 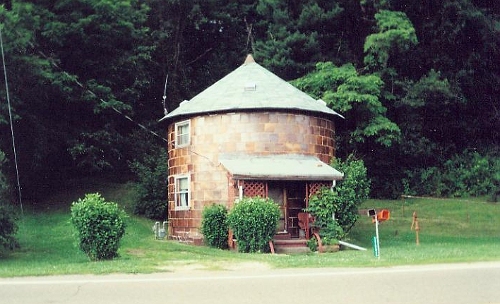 Another round house is available in Dalton, Georgia, for a mere $125,000. Built in 1972, it’s a two-story house with exposed beams. 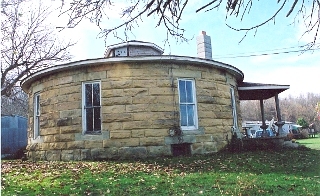 The William Dolan residence in Morgan County, Ohio, is one of the oldest existing round houses in the country. A one-story structure that was erected in approximately 1850, it’s made of hand-hewn sandstone blocks.